Is it possible aluminum bleachers helped the Seattle Seahawks win a spot in the Super Bowl this year? Absolutely. Here’s why. Sports writers keep citing the effect of the “12th Man” during Seahawk games. They credit those rabid fans with raising the roof so loud during crucial plays, that they can actually influence the outcome of the game. With those deafening decibels, it’s nearly impossible for a quarterback to yell out an audible. Heck, it’s nearly impossible for players to hear a regular snap count. Okay, wait a minute. Many cities have diehard football fans. Look at Packer fans who lovingly pack the place in near-zero temperatures. But perhaps the real 12th man for the Seattle Seahawks is actually the architect who designed CenturyLink Field. Much has been made about the design of the stadium and how it enhances fan noise. The first thing you notice when you see the stadium on TV is how compact it is. It appears as though the fans are nearly sitting on the field itself. This is no accident. 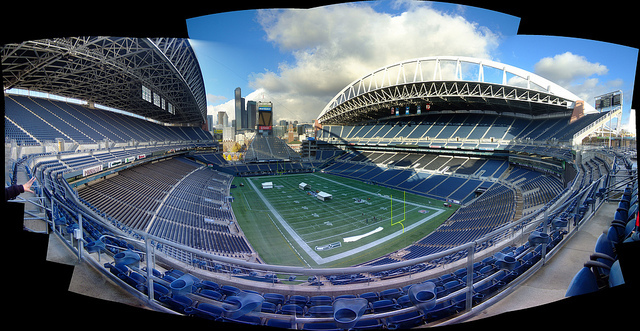 With 900,000 square feet of space, CenturyLink Field is literally the smallest stadium in the NFL. While everybody like Jerry Jones in Dallas are building mega-stadiums, Paul Allen, owner of the Seahawks (and that Microsoft guy), wanted a stadium with a smaller footprint. That’s one thing. Here’s the next factor. Stadium seating is covered by canopies. Supposedly added to keep the fans dry in a continually wet city (interestingly, the field is not covered). You know those curved dishes the TV sound men hold to capture the noise on the field? Well, the canopies on top of the stadium are curved in parabolic shapes. So they literally push the sound of screaming fans right back onto the field. A coincidence? Do you think one of the founders of Microsoft does anything by coincidence? Finally, here’s the kicker. Coincidentally, in the north end of the stadium, there are 40 rows of aluminum bleachers. Not wooden bleachers. Not plastic seats. 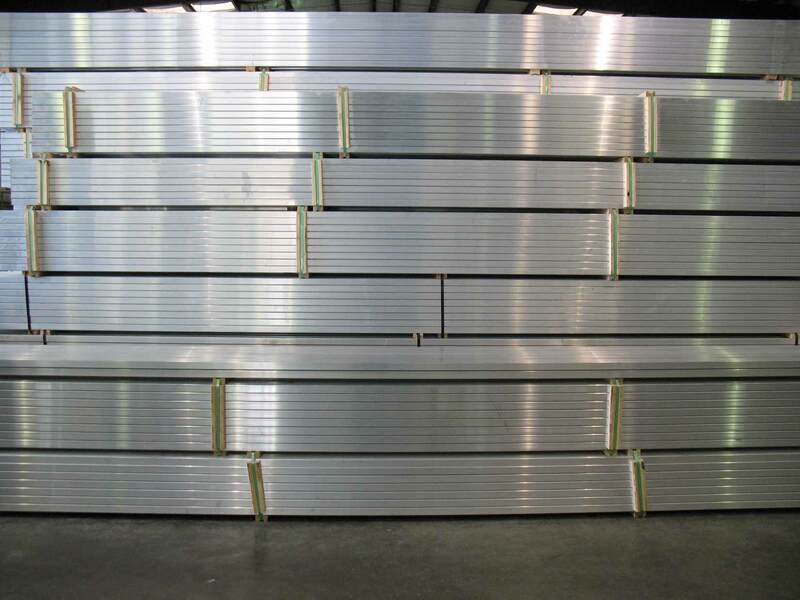 Aluminum bleachers. When those fans start stomping and screaming on those aluminum bleacher planks, joined by a thunderous chorus from the rest of the stadium, they are literally creating the biggest noisemaker in NFL history. The proof is in the numbers. Experts say average city street noise is about 70 decibels. The Seattle fans set an NFL record recently of 138 decibels. That’s loud. Rock concert loud. That’s against OSHA standards. That earned them a place in the Guinness Book of Records. What’s all this racket do to opposing teams? It’s wreaks havoc on them mentally. In one game, the New York Giants were called for 11-false start penalties. In one game. You are not going to win games if you move the ball backwards nearly a dozen times. Opposing teams have been penalized an average of 1.92 times per game. That means, nearly two plays go to waste and yardage is lost. And you can bet that noise comes at the most critical times in a game as well, like third down late in the fourth quarter when the score is close. There’s a lesson here. Obviously, most local schools can’t build billion-dollar parabolic stadiums. But they can add aluminum bleachers. And obviously this abuse of aluminum bleachers by fans is a testament to their durability. Right now, there’s a big debate going on about “deflate gate” where the other team going into the Super Bowl, the New England Patriots, are accused of purposefully not filling the game footballs with the proper amount of air. But surely that pales in comparison to the monstrous noise machine the Seattle Seahawks have created to give their team an advantage. As you can see, it’s not just the fans who harass opposing teams. It’s the canopies, the design and those hardy aluminum bleachers. To listen to an actual video of the record-setting noise at the Seahawks CenturyLink Field go here.